I love museums that allow photographs! It wasn't that long ago that the majority of museums made you check your camera at the door. I took so many photos at Crystal Bridges, many that I wish I had taken more time to identify the artist. I really loved this bronze sculpture entitled The Bubble, by Harriet Frishmuth. 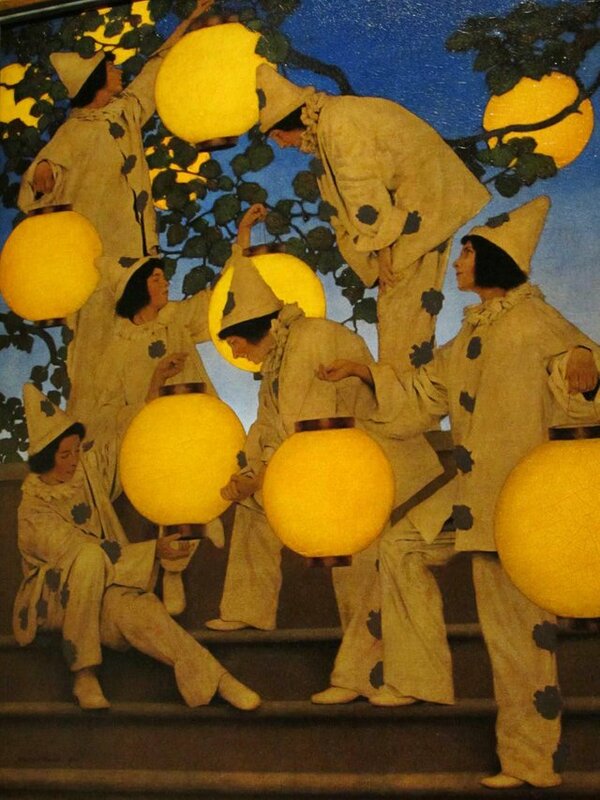 The art hanging on the wall is The Latern Bearers by Maxfield Parrish. This museum may be new, but it has an amazing collection, thanks to the Walmart money of Alice Walton. I love Parish, as well as bronze statues, particularly lamps. And pretty much nutso about Art Deco and Art Nouveou in particular. Can stare at Frank Lloyd Wright coffee table books for HOURS on end and dream. Such a look to it all. Thanks for the views from a cool museum. Bentonville is in Northwest Arkansas. When my parents retired they moved to Bella Vista, so I got to know the area pretty well during the 15 years that they were there. The museum is well worth going out of your way for, though. The art collection and the grounds are quite incredible. There is a lot of Frank Lloyd Wright influence around me here. Taliesin is an hour and a half away. One of my favorite books in recent years is one entitled Loving Frank. It is a historical novel, but it really humanized the tragedy at Taliesin for me. It is a fantastic museum, with free admission! Maxfield Parrish is a favorite of mine and I have prints of some of his work hanging on the walls of my home. I had never seen the lantern painting until I was at the Museum, so it was really interesting to see that one. It is magical, isn't it? I have 'Daybreak' hanging on the wall where I get to enjoy it everyday. Gracias, espero que todo te vaya bien. I wish I did have that many! If I would have known about Steem back then I sure would have tajen more! I'm really attracted to the colors in the lantern painting. I don't get out of the house much these days and I have a ton of photos from when Jim was alive and we were traveling. I love sharing them here and reliving the memories. Thank goodness you loved taking so many photos ! How handy is that now ? ! Ohhhhh... the memories. I know that has to be special. At first it was hard to look through the old photos, but as time passes it just makes me smile to remember all the fun we had together! The bronze sculpture is awesome. I loved it too! The sculpter was not familiar to me. He is one of my favorites, too. It is a great museum! It's always such a pleasant surprise when photos are allowed. 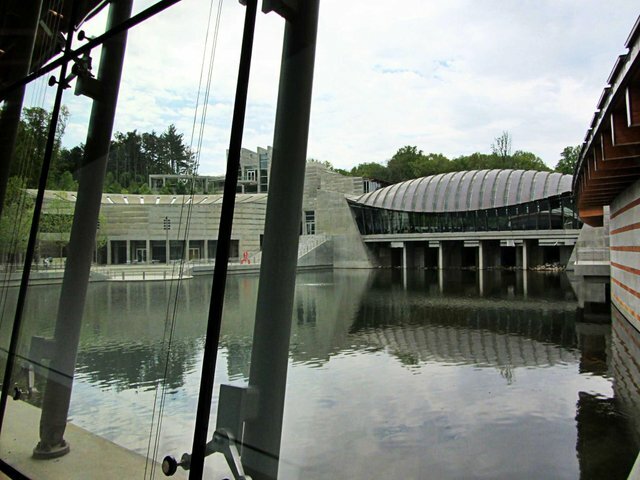 A dream for me to be able to visit Crystal Bridges in Bentonville, Arkansas. Because there are many extraordinary works of art that are invaluable. Honestly, I really like art, and I hope that one day I can visit there with my child. I hope the price of Steem goes up and you can travel to all the places that you want to see! Yes, that is the hope of many people. But, will the price of Steem rise? What do you think ? I have no doubt that Steem will rise! We are so lucky to be in at the early days when it is still relatively easy to get. It will become more difficult, so gather as much as you can now, and think long term. I see you are close to reaching 500 SP and becoming a Minnow. There is help available from 10kminnows project if you would like some help to get to 500! Let me know if you are interested in getting some votes to help you become a Minnow! One honor for me for the glory of your heart. Surely I am very interested, being a small fish is also a dream for me to be able to help other friends, please help. Sorry, I was slow to respond. No apologies needed! We all need to sleep.🙂 I will give your name to @paulag and you may be hearing from her to let you know the rules! Powering up is the best way to make your account grow! You are doing it the right way! Of course, and you know I will help if you have questions! It is an excellent new museum! Hope your day is good, too! 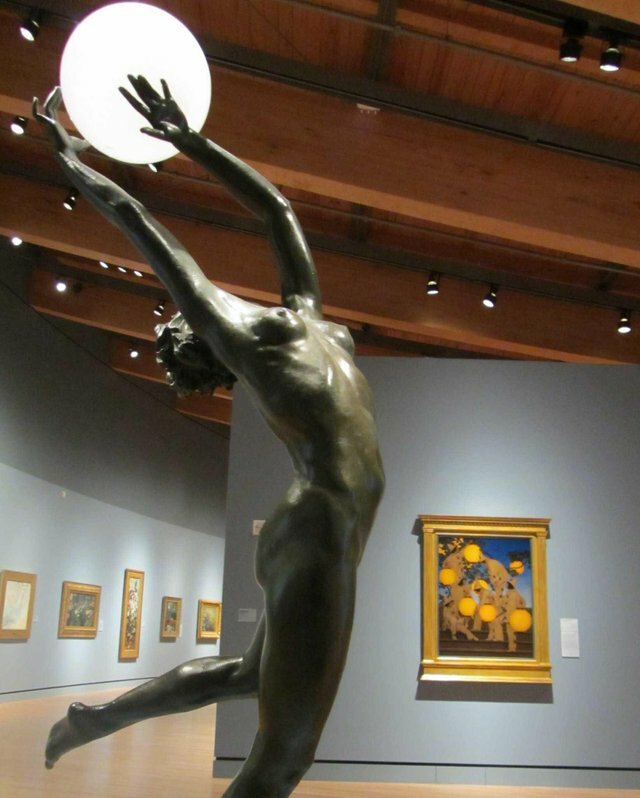 Nice collection of Crystal Bridges Museum but this bronze sculpture is awesome. Thanks! It is beautiful, isn't it? I love museums too. Congratulations to you on your great success here on Steemit and especially on helping others. I love seeing that! I have learned from some of the best and appreciate all that you have taught me, @kus-knee! Your encouragement and kind words mean so much. Thank you! Howdy tonight Melinda! Oh man, I love Maxfield Parish! And that sculpture is brilliant, I haven't seen that one before. I gotta get to the museum sometime! It would be a nice weekend away for you guys! I am so glad we went when we did. It sure would. I remember the post you did on that place, that was the one right? A river ran under part of it or was that someplace else?
. It is the same place. I saw these pictures when I went looking for something else, and I remembered that I had promised you some photos of the inside and some of the art. oh that's so kind of you to remember! What a place that is. 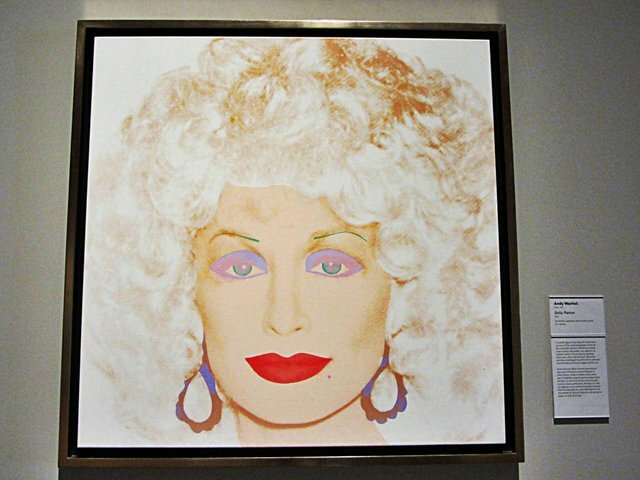 That was a great painting of Dolly that Andy Warhol did, I was kind of surprised for some reason. Far different from his Campbell Soup can, huh? haha! yeah I forgot about that, the one that made him famous!